My name is Paul Fiadjoe and I live and work in Essex as a Consultant Obstetrician and Gynaecologist. I have subspecialist interest in Urogynaecology and Pelvic Reconstructive Surgery but also see women with a wide range of common gynaecological problems. I am the Lead Consultant for Urogynaecology and Pelvic Reconstructive Surgery (Vaginal prolapse, Urinary incontinence and other bladder symptoms) and run specialist Urogynaecology, Perineal Trauma and Urodynamic clinics at Mid-Essex Hospitals NHS Trust. I see patients at Springfield Hospital (Private and NHS) and Broomfield Hospital (NHS Only) in Chelmsford. I also treat women with period problems and pelvic pain using the latest day case techniques including laparoscopic(Key-hole) surgery. Few women go through life without experiencing any gynaecological difficulties at some stage; I hope you find information on this website useful. For futher information contact me via the email address provided. 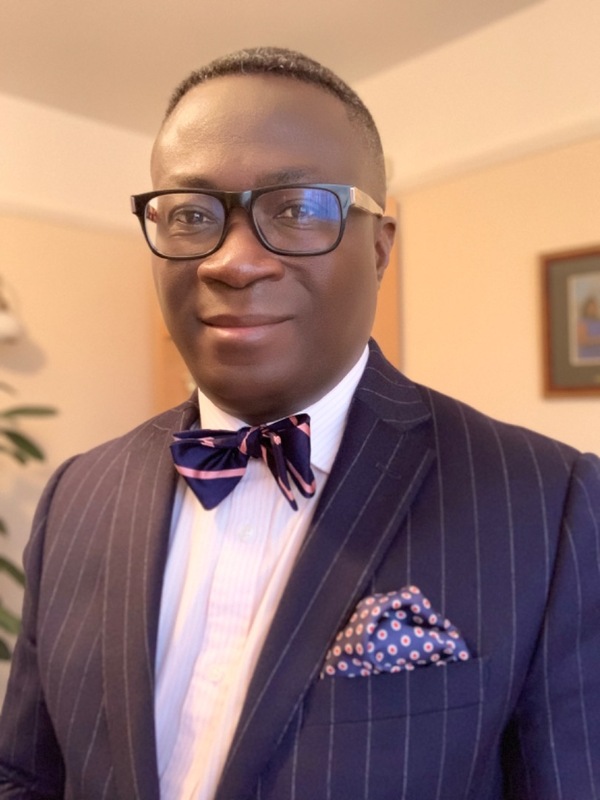 Mr Fiadjoe to deliver a lecture "The Mysteries of the Female Pelvic Floor" at the Primary Care Urology Society Conference in London . Thank you for dividing my TVT tape. After many years of sufferring, you've changed my life and couldn't wait to see you. Please thank Mr Fiadjoe once again for me!!! It's so good to be able to go to someone you can trust 100% and he's worth every penny!! !